Co-founded by Ernst Fischer and Helen Spackman in 2005, LEIBNIZ is a fluid live art collective that aims to present socially engaged and inter-active work, create rituals and mythologies for a secular age, generate new audiences and assist emerging artists. 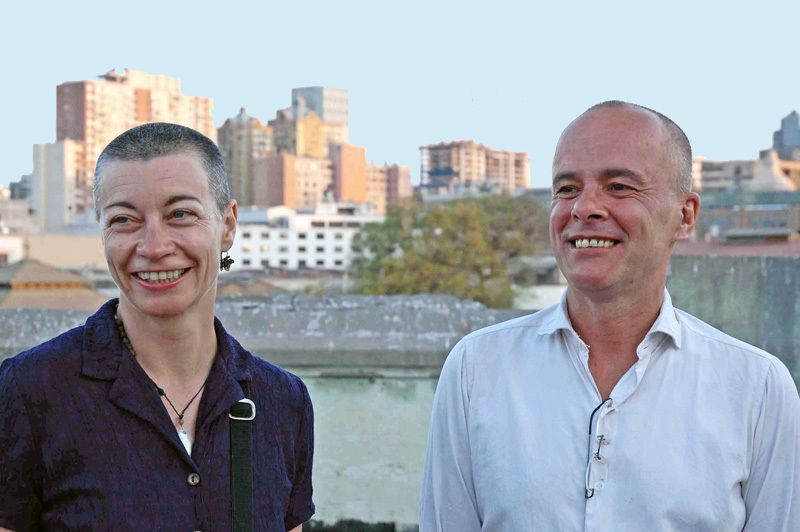 Having worked together since 1995, Fischer and Spackman’s long standing interest in issues of home and belonging has developed with LEIBNIZ to more specifically address bio-ethical and ecological concerns and the ways in which performance can function as an accessible and vibrant means of counter-cultural documentation and regeneration. In 2011/2012, LEIBNIZ have been engaged in some strategic re-structuring, with the launch of this new website reflecting the recent completion of a PhD thesis on the company’s work by Helen Spackman, other texts written about the company, a new relationship with Producer Peter Reed and the launch of two new projects, ALLOTMENT (incorporating PASSION/FLOWER) and SEEMPHONY. LEIBNIZ’s directors Ernst and Helen teach regularly at Roehampton University, the Central School of Speech and Drama and London Metropolitan University. PASSION/FLOWER (now part of ALLOTMENT, 2010-). La Terza Edizione del Festival Internazionale delle Arti Performative, Visive e Musicali. note: nei siti di interesse storico-architettonico del territorio di Anzio e di Nettuno: Forte Sangallo,Borgo Medievale,Palazzo della Divina Provvidenza – Nettuno- e Parco Civico Archeologico, Villa Imperiale di Nerone – Anzio.